When questions began to dig, it broke tears in Beyummah. 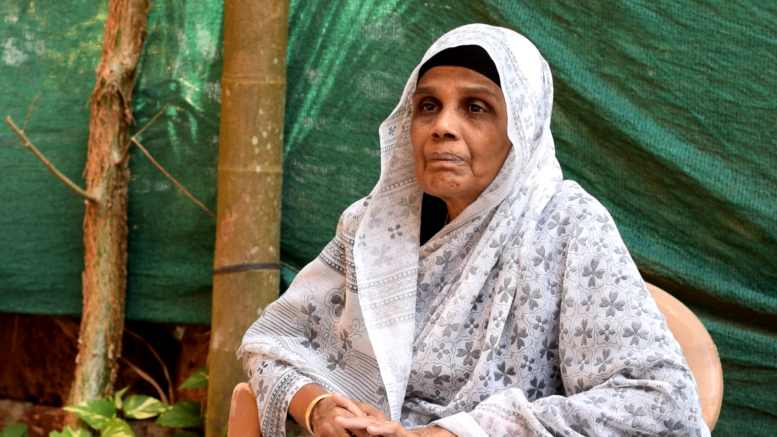 Despite the numbness of years of repeated narration, words started to break in memories of a long desperate fight to get back her son, Zakariya, imprisoned without conviction for a decade. “Ten years, he was taken away in his early nineteen. How frightened he must have been then”, recalls Beyummah slipping into her thoughts. Zakariya has been in indefinite imprisonment under the draconian law called UAPA (Unlawful Activities Prevention Act) after he was eight accuse in 2008 Bangalore blast. Overthrowing procedures, Karnataka police abducted Zakariya on 5 February 2009 from his workplace in Tirur, Malappuram. Zakariya was a commerce student in a cooperate college and worked at a mobile shop to support his single Parent – Beyummah. Three days prior to the abduction, Kerala police came to Beyummah with enquires. They even met Zakariya the day later and told him there was nothing to be afraid. Even with these continuous queries from police, Zakariya went to work without fail to be taken away. It took many years for the neighbors to reach out and support Beyummah and family. “They must be terrified with the police surveillance and there is nothing wrong” says Beyummah, Forgiving the boycott and segregation her family had to face for years. Beyummah who used to live with Zakariya, shifted to her elder son’s after the news about Zakariya. Until fourth year, Kerala police also haunted the family making sure they kept quiet about the blunted lie. Zakariya was eighth accused in 2008 Bangalore Blast. Shuhaib, Zakariya’s cousin, is stubborn about Zakariya’s innocence and have been leading the legal battle since day one. Haridasan and Nizamudeen, two Witness produced against Zakariya publicly denounced their statement. Nizamudeen forced to sign the statement which was in Kannada and falsely translated by the police. Haridasan was forced to sign the statement. Shuhaib claims himself responsible for arranging the work at Kondotty, from where Zakariya helped other accused to make timers for the explosives. He left the job within a month as it took three buses to reach the shop. Zakariya was poor in any other language than Malayalam and never traveled far. Zakariya’s story was found coincidentally by Documentary makers Jisha josh and K.P Sasi during their visit to Abdul Nasar Maudani, another case of prolonged injustice. Maudani introduced the young boy and narrated with terrible realities. Jisha got interested and wrote an article on Zakariya. It brought attention from organisations and activists. Framed and forbidden for years, Beyummah’s cry started to get response. Beyummah and agreed to help. Formation of action committee brought end to the police torture and social exclusion. Documentaries and open tribunals discussed Zakariya and advocated for his release. In between these long terms inside jail, Zakariya was granted parole twice by the court. He returned home for hours to join His brother Shareef’s marriage in 2016 and attended funeral of the same brother in 2017. Zakariya flied back to Agrahara. Beyummah can detail everything from the short-visits. “We spoke less, there was nothing to say, murmurs Beyummah, fighting back tears. No appeal, either to the state government and other agencies ever helped Beyummah returning her son. Zakariya is one among the thousand in Parapanna Agrahara jail. Spread over 40 hectares of land and filled with twice the capacity of the jail, there have been reports of horrifying treatment towards inmates. Many prisoners are forgotten or disowned by families in fear of being framed for terrorism.Their justice was long dead since the day they were captured draconian laws become slow death for the accused awaiting justice. With more than two lakh under-trail prisoners, India is the third largest population of unjust crime procedure. How long? Asks Beyummah defeated with loss and lies. After long pauses she hallucinates and ask “Even if he was guilty, isn’t this enough” but Reassures he is innocent. Be the first to comment on "Zakariya completes a decade of injustice: Beyummah"